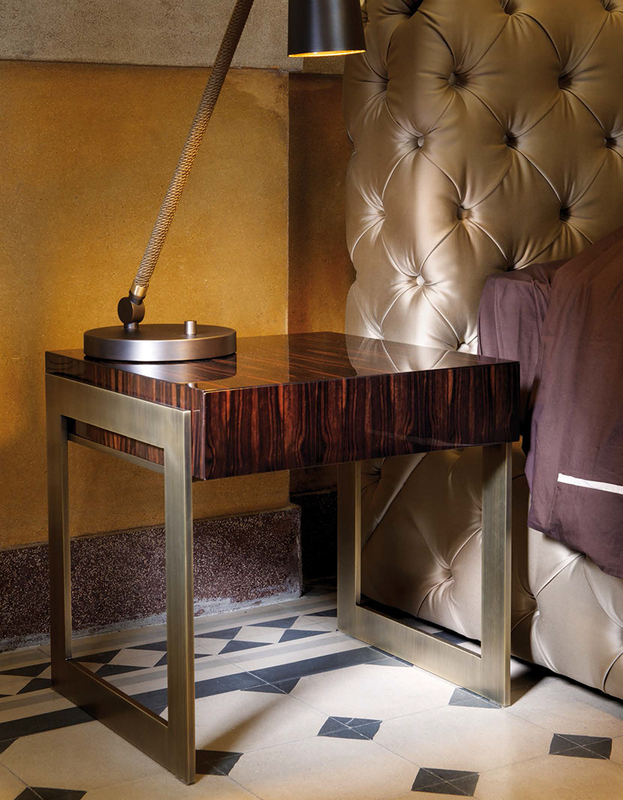 Single drawer nightstand with top in mat lacquer, glossy lacquer or ebony macassar wood. Both the lacquer options and ebony macassar options are available in mat or glossy finishes. Metal leg options in gloss brass, gloss chromed, or bronzed finish. Ebony macassar in mat or gloss finish. Black, white, ivory or cafe lacquer in mat or gloss finish. Metal legs in gloss brass, gloss chromed, or bronzed metal finish.